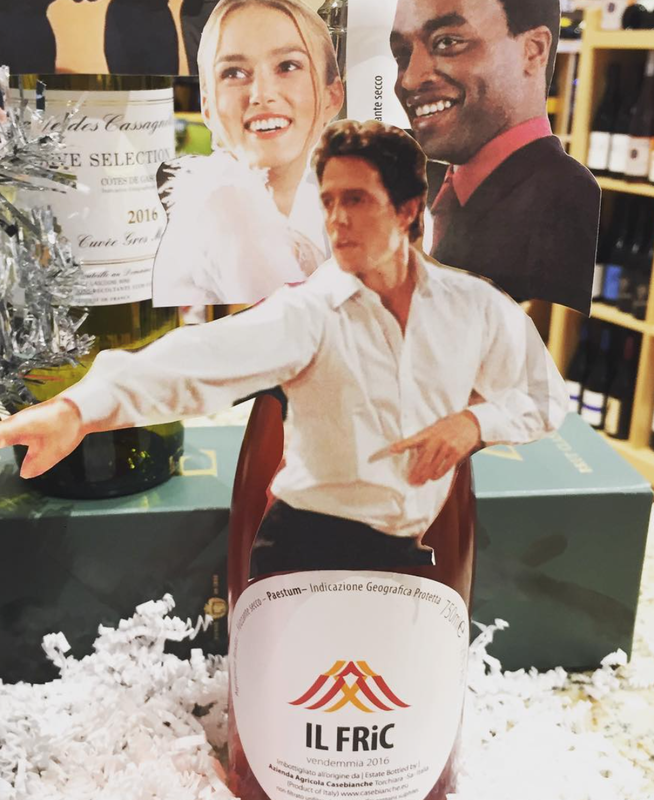 So, we’re big movie nerds and wine geeks over here at the shop. And we LOVE the holidays. 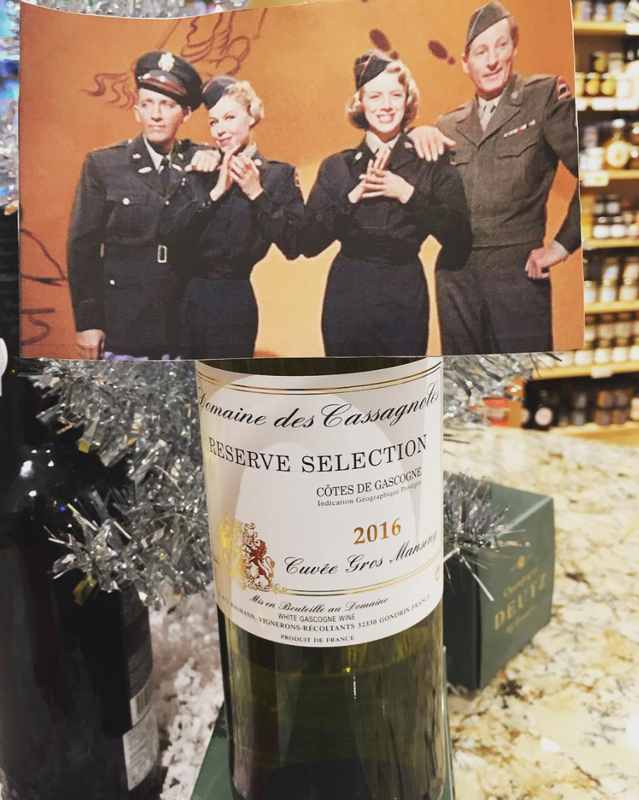 So, naturally, we wanted to pair some of our favorite holiday movies with new wines we just got in, just in time for December. Can you believe it’s December 1st tomorrow? Here’s to movies in front of a fire (or a laptop) and a glass of wine in hand. Cin cin! Considering how many times Hans Gruber insults John McClane by calling him a cowboy in Die Hard it seems ultra-appropriate for this wine not only to be from the US, but from a winery that recently moved from Long Island to Gillespie County in Texas. Southhold Farm and Cellar is committed to natural winemaking processes including one called pigeage à pied (aka foot stomping), which John McClane perhaps would have preferred instead of taking on twelve terrorists and running across broken glass...all in his bare feet! With this Lagrein's brooding, plum, and cranberry notes you can indeed 'Trust the Pain' and have faith that however regrettable, McClane will ultimately prevail. When you take a sip of this wine, Beethoven's Ode to Joy will fill your mind as you savor the fresh herbaceous notes. 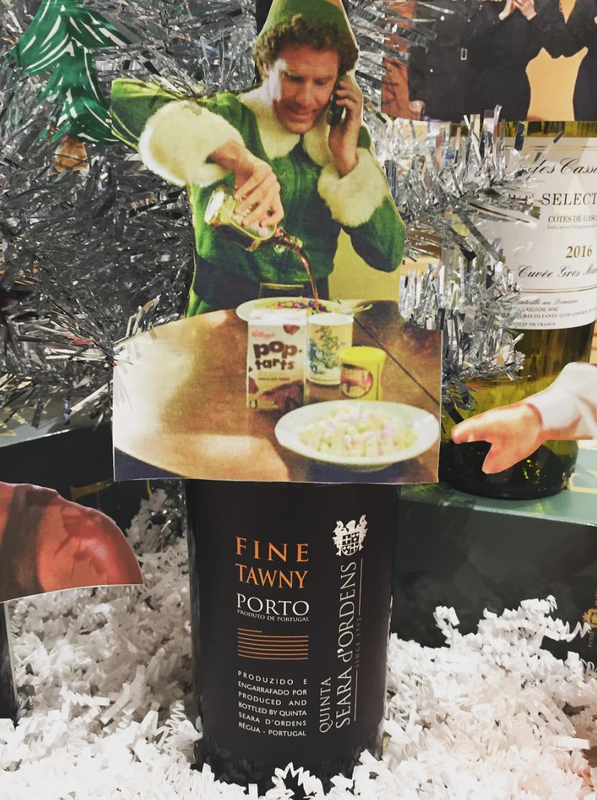 Papa Elf would agree and with us here at the shop, that great things are usually sweet, like this 10-year-old Tawny Port and his human child, Buddy. Buddy, the 6'1, 30-year-old endearing elf, spends much of the film befuddled by human ways; for example, why put meat sauce on your pasta when it could be covered in maple syrup? In ode to Elf Culture (note Buddy’s four major food groups: candy, candy canes, candy corns, and syrup), we decided to give Buddy a wine he could share with Jovie, and both his human and Elf families! Like the film, this Tawny is full of warmth, with its nutty and sweet molasses notes, and should be enjoyed with friends in front of a roaring fire. In the final scenese of the movie, Bob and Betty declare their love for one another, as do Phil and Judy. The background of the set is lifted to show the falling snow, and everyone raises a glass and toasts, “May your days be merry and bright; and may all your Christmas's be white." Well, when Rosemary Clooney and Bing Crosby give you an order, you deliver! This white blend of Colombard, Ugni Blanc, and Gros Manseng has notes of Christmas pears, romantic notes of nutmeg in freshly baked cinnamon rolls, and minerality like freshly fallen snow. It's a sensational blend of the more protective and guarded Bob and Betty, added to the mischievous and meddlesome Phil and Judy. Once you (Spoiler Alert) foil the Wet Bandits at the age of eight, Kevin McCallister's childhood must have been pretty dull. I imagine that such an obnoxious and intelligent kid must have gotten pretty bored of dog walking and babysitting rather quickly. Maybe he became a professional rat catcher (think of the traps he could create!) and eventually an ethical hacker – but, he definitely did not get an early start career in winemaking like young Victor Sornin. The fourteen-year old's Dad, Frederic, made this wine with his son, Victor, in the Morgon appellation of Beaujolais. This Gamay is as satisfying as watching Kevin connect with Old Man Marley, and is filled with the amount of love Kevin's Mom has for her son, who road trips with a polka band to get to her son on Christmas. "Well, we need Kate and we need Leo, and we need them now." Love Actually is filled with the wisdom and over-the-top romantic gestures that one wishes they could declare in real life; there's nothing subtle about running through an airport after your first love or jumping in a freezing lake to save their memoir from ruin. But sometimes, when flowery and swear laden monologues fail you, there is always ‘Il Fric.’ This sparkling rosé is just as witty and beautiful with its ruby jeweled hue. From the Aglianico grape, this biodynamic sparkler has fresh watermelon, blackberry, and stark mineral notes. Bring ‘Il Fric’ to your workplace's holiday party, set the music to 'All I Want for Christmas Is You' and bust a move like the Prime Minister down a staircase! Or finally kiss that crush, with cue-cards and all!